The hind limb ischaemia angiogenesis experimental model is a well-established and popular “gold standard” tool to test and quantify the effect of novel therapies on the formation and development of new blood vessels – the process known as angiogenesis . This is relevant for therapies where this process should be accelerated e.g. wound healing, or where the opposite is required e.g. to slow or inhibit tumour formation. 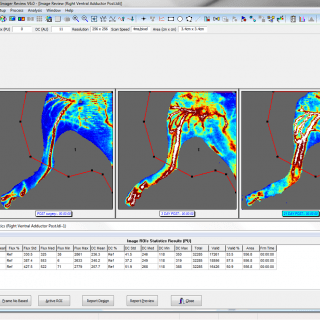 The model uses Laser Doppler or laser speckle imaging to assess blood perfusion in the hind limbs, one of which is ligated surgically. 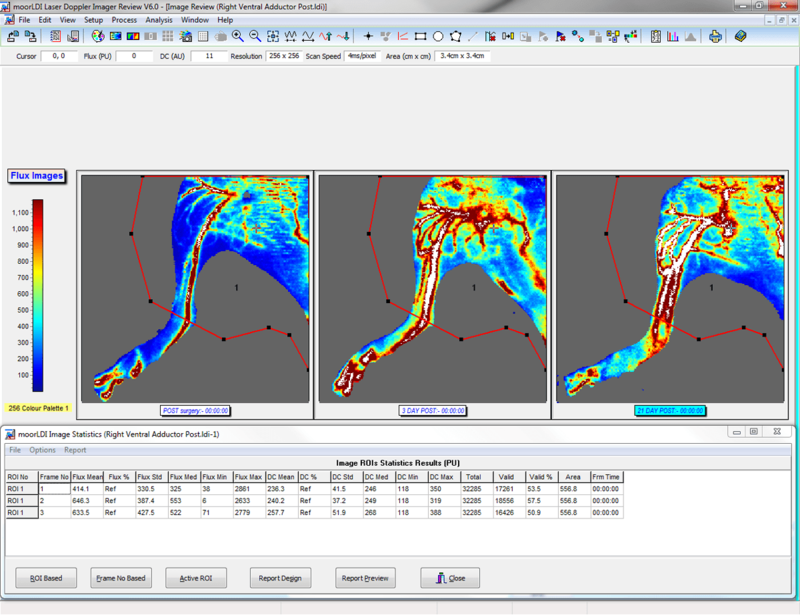 Dedicated software enables the definition of regions of interest for blood flow assessment on the ischaemic versus non-ischaemic limb to establish a “reperfusion ratio” which can be assessed as often as needed and over a number of days on the same subject. This allows the effect of different therapies that may speed or slow angiogenesis to be quantified. 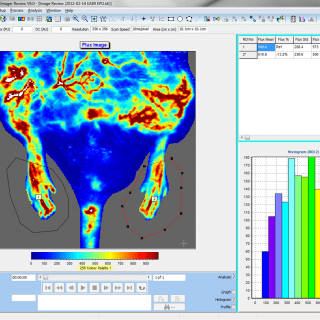 Conveniently, the assessment is non-invasive and does not use tracer dyes. 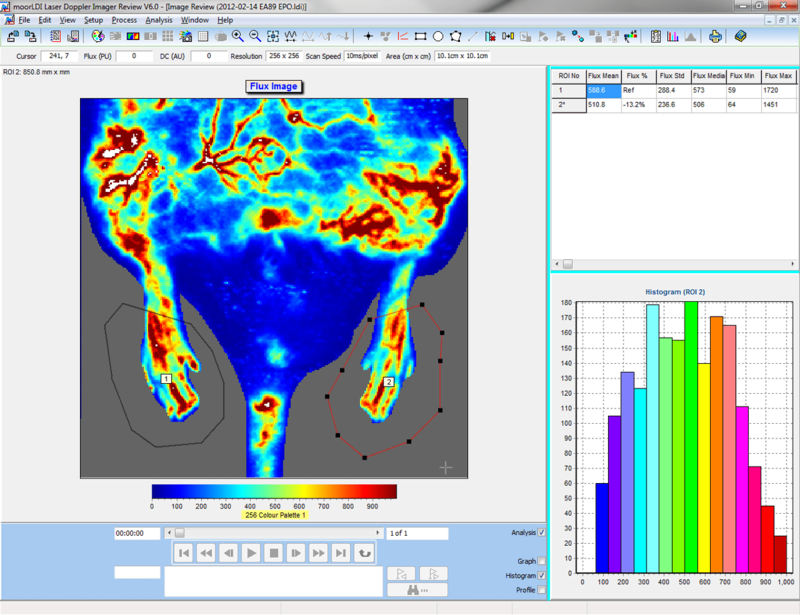 The laser speckle imaging technique (moorFLPI-2) offers the highest spatial resolution and can be used to assess reperfusion in the pads of the feet, an alternative technique that avoids the need for limb hair removal. 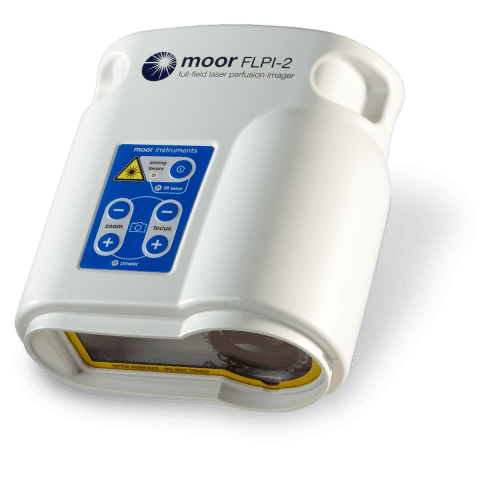 We also offer the high resolution laser Doppler imager the moorLDI2-HIR with a fine pixel resolution of 100µm and a superior penetration that is ideal for imaging the process and also allows imaging of collateral vessel formation. 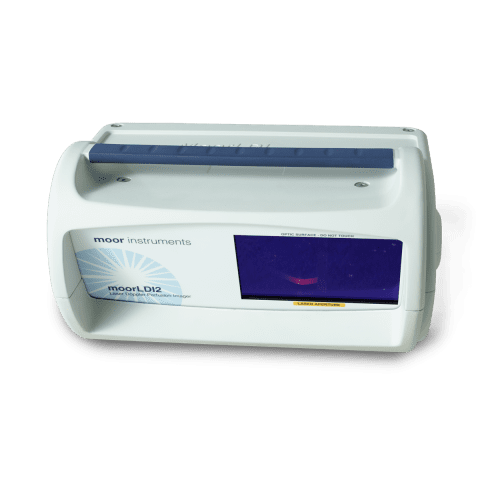 Both systems are supplied with unique, advanced software to allow you to visualise, quantify and present your data easily, robustly and quickly.